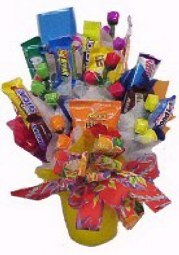 We also do custom Easter Baskets with your choice of candies. 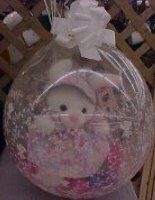 Plush bunnies also available. 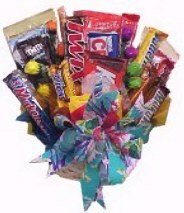 An array of candies are presented in an Easter mug. 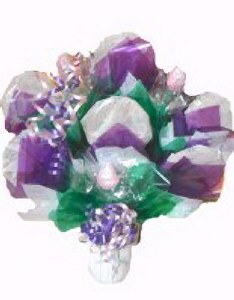 For the love of purple, accents bring this bouquet to life. 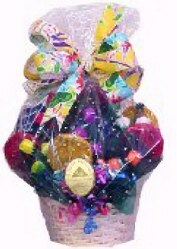 Play in the sand with this cute sand bucket filled with goodies. 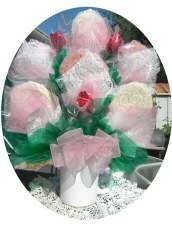 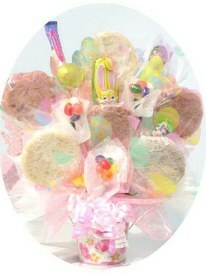 Nine multiple colored cookies and candies in a white princess basket with bright multicolored ribbons added.